At present, pig farms are often the death of young pigs due to coli-enterotoxemia. Given this fact, the disease is relevant, since it is very common in pigs. This disease usually affects piglets after weaning more live weight. This occurs when excessive and greedy eating of a large number of feeds, especially heavily peppered ones. Treatment of coli-enterotoxemia is effective only at the onset of the disease. The main condition must be prevention. The most effective and cost-effective method of preventing and treating a disease is feeding the excised pigs within the zoo-hygienic norms of sodium chloride. However, in pigsty there is no clear idea of the period of use of sodium chloride to prevent colienterotoxemia of piglets after weaning. In this regard, the main goal of our research was to study the period of use of sodium chloride for piglets after weaning to prevent colienterotoxemia. For this purpose, we conducted scientific experiments in the conditions of the agricultural cooperative “Mig-Service-Agro” of the Mykolaiv region and formed 5 experimental groups of extramarital piglets weighing 8 kg on the principle of analogues. During the studies, we found that the best option for preventing coli-enteric toxicity in piglets was the introduction of sodium chloride 4 days before and 4 days after weaning, since almost the first day pigs consumed sodium chloride and showed great interest in mineral fertilization, and therefore had significantly higher productivity during growing up than their peers. Thus, the largest live weight, registered in the IV experimental group of pigs, who had free access to sodium chloride 4 days before and 4 days after weaning, was 37.8 kg than the animals of the I, II, III, V experimental groups. This fact contributed to an increase in the average daily gain of the mass of piglets in the group IV – 404.2 g, in contrast to peers I-III groups – 321.8 384.1 grams. Thus, the survival of piglets was highest in pigs of the IV experimental group – 98.8%. First, through the smallest pores, sodium is pumped out of cells. As a result, the concentration of sodium in the intracellular fluid decreases in the presence of salt. Other sodium ions penetrate the protective membrane into the cell. There is a constant exchange of fluids between the outer and inner cells. Otherwise, there is accumulation of fluid around the intracellular membrane and provokes edema, and then the nervous, edema forms of the disease. Keyword: piglets, piglets ‘productivity, piglets’ safety, sodium chloride, weaning. Method of increasing productivity and preservation of piglets. Nowadays there is a total ban on use of antibiotics and hormonal growth promoters. In this context, the importance of research aimed at studying the influence of enzymes, pre- and probiotics, etc., on the productivity of pigs, is a priority, especially for acquiring European integration.. In this regard, the purpose of our research is the study of the effect of feed supplement «Bio Plus 2B» on the physico-chemical and chemical characteristics of pigs’ meat, as well as conducting the tasting and the organoleptic evaluation of meat-fat products. Analysis of the results of studies of the active acidity of muscle tissue of experimental animals has shown that violations of the process of maturation of carcasses were not detected. When pre-slaughter weight 100-120 kg statistically significant differences in the content of both moisture and dry matter of the longest muscle of the back, between animals of test groups were not found. Meat obtained from pigs, which in addition to the basic diet consumed probiotic product on fat was inferior to the meat of animals which received the basic diet of 0,41 and 0,36% (P>0,95) in the feed to live weight of 100 and 120 kg respectively. Cooked meat of pigs of experimental groups has an excellent appearance, strong smell, very delicious, with a delicate texture. Overall assessment of the quality of the broth is also quite high. It should also be noted that any foreign odors or flavors after use of probiotic in the experimental group were not registered. The meat quality of pigs of experimental groups complies with the requirements and rules, depending on the availability in the diet of probiotic, has specific properties. Thus, the use of living spore cultures in the form of a preparation «Bio Plus 2B» influenced the improvement of physical-chemical and chemical properties of muscle tissue that improve taste and nutritional quality of meat. Key words: pigs, probiotic, physicochemical properties of pork, a tasting of pork. Effect of feed supplement «Bio Plus 2B» for high quality pork. The biochemical processes in pig’s meat and sensitivity to stress and growing conditions. To determine the conditions for the formation of biochemical processes in meat and its quality we need to examine the level and nature of development of autolytic changes in the tissues. Quality changes in meat occur during its maturing process conditioned by a complex enzymatic, autolytic transformations in muscle and connective tissues. However, it is known that the quality of the meat and the nature of the autolytic processes after slaughter of the animal depend on the conditions of feeding and breeding, pre-mortem content and degree of stress sensitivity of pigs. In this regard, the study of biochemical processes in meat depends on different stress sensitivity and the conditions of raising pigs is a very important issue, which requires further scientific development. In this regard, the objective of our research was to determine the percolation characteristics of autolytic processes in the meat of pigs combination ♀(LW×L)×♂P obtained from animals with different stressful sensitivity grown under different conditions, and to conduct a comparative evaluation of the organoleptic characteristics of meat. According to the results of the research, it was found that meat obtained from pigs with different stressful sensitivity and those that were fed in different conditions with intensive technology in the period of maturation and storage has a different character of biochemical changes, which cause different quality. In meat obtained from animals of stress-resistant animals the most intensive changes occur during the first 24 hours after slaughter. After 45 minutes of storage, pork shows a high glycogen content, low concentration of glucose and lactic acid, high pH environment. After this there continues to be a gradual decrease in the number of glycogen, increase the content of glucose and lactic acid, the pH of the medium stabilizes in the range of 5. 6. Due to this nature of the biochemical changes and meat on the second or third day to matures and has high consumer properties. Boiled meat and broth have excellent assessment. In meat obtained from the stress-sensitive animals that are fed together with stress-resistant animals 45 min after slaughter and during the subsequent days of observations autolytic processes followed less intensively. As a result of such changes pork on the second or third day had low consumer properties, cooked meat and broth had an assessment within the average. Further research is planned to study the formation of biochemical processes and meat quality of pigs of specialized meat breeds with different methods of breeding. Biochemical processes in the meat of pigs of different sensitivity to stress and growing conditions. Feeding quality of hybrid piglets. The article presents the results of the evaluation fattening properties of young pigs of different genotypes. The studies were conducted in a pig farm PEO “Victoria” Noviy Bug, Nikolaev region. It was found that in contrast to the traditional scheme of obtaining the final fattening calves ((LW × L) × D) proposed of combination is more productive. Thus, the piglets obtained from a combination of sows «F1» with cross-bred boars (D × P) – «cantor» noted a high value of average daily gain – 777,5 g, and which resulted in the lowest cost feed – 3,38 food units on 1 kg of live weight gain. Key words: pigs, breed, crossbreeding, feeding qualities. V. Lykhach, А. Lykhach, V. Lagodienko, N. Koval. Feeding quality of hybrid piglets. Birta H. O. Vidhodivelni, zabiini ta miaso-salni yakosti svynei riznykh napriamiv produktyvnosti / H. O. Birta, Yu. H. Burhu // Visnyk Poltavskoi derzhavnoi ahrarnoi akademii. – 2012. – #4. – S. 49-51. Konovalov I. V. Adaptatsiini ta produktyvni yakosti svynei porody landras v umovakh promyslovoi tekhnolohii : dys … kandydata s.-h. nauk : 06.02.04 / Konovalov Ihor Volodymyrovych. – Mykolaiv, 2011. – 148 s.
Lykhach V. Ya. Vidhodivlia svynei miasnykh henotypiv do riznykh vahovykh kondytsii / V. Ya. Lykhach, A. V. Chernenko // Tavriiskyi naukovyi visnyk : zb. nauk. prats Khersonskoho DAU. – Kherson : Ailant, 2008. – Vyp. 58/2. – S. 285-289. Lykhach V. Ya. Formuvannia produktyvnykh yakostei svynei spetsializovanykh miasnykh henotypiv pry chystoporodnomu rozvedenni ta skhreshchuvanni : dys … kandydata s.-h. nauk : 06.02.01 / Lykhach Vadym Yaroslavovych. – Kherson, 2006. – 141 s.
Suchasni metodyky doslidzhen u svynarstvi. – Poltava, 2005. – 228 s.
Tsereniuk O. M. Modyfikatsiia importnoho henetychnoho materialu v Ukraini : monohrafiia / O. M. Tsereniuk. – Kharkiv : IT UAAN, 2010. – 248 s. Buchanan D. S. The cross breakboar / Buchanan D. S. // Pig New Inform. – 1998. – V. 9, № 3. – P. 239-275. В. Я. Лихач, А. В. Лихач, В. В. Лагодиенко, Н. А. Коваль. Откормочные качества помесного молодняка свиней. В статье приведены результаты оценки откормочных качеств молодняка свиней разных генотипов. Исследования проводили в условиях свинокомплекса ЧОП “Виктория” г. Новый Буг Николаевской области. Установлено, что в отличие от традиционной схемы получения финального откормочного молодняка ((КБ×Л)×Д), предложенные сочетания более продуктивны. Так, у молодняка свиней полученного от сочетания свиноматок “F1” с помесными хряками (Д×П) – “кантор”, отмечено высокое значение среднесуточных приростов – 777,5 г, что обусловило и наименьшие затраты кормов – 3,38 корм. ед. на 1 кг прироста живой массы. В.Я. Лихач, А.В. Лихач, В.В. Лагодієнко, М.А. Коваль. Відгодівельні якості помісного молодняку свиней. У статті наведено результати оцінки відгодівельних якостей молодняку свиней різних генотипів. Дослідження проводили в умовах свинокомплексу ПОП “Вікторія” м. Новий Буг Миколаївської області. Встановлено, що на відміну від традиційної схеми отримання фінального відгодівельного молодняку ((ВБ×Л)×Д), запропоновані поєднання є більш продуктивнішими. Так, у молодняку свиней, отриманого від поєднання свиноматок “F1” з помісними кнурами (Д×П) – “кантор”, відмічено найвище значення середньодобових приростів – 777,5 г, що обумовило і найменші витрати кормів – 3,38 корм. од. на 1 кг приросту живої маси. Educational scientific production pig complex of Mykolayiv National Agrarian University in the system of innovative development of agrarian and industrial complex. Modern state of the economy requires the creation of a new system of innovative development of the agricultural sector “agricultural education-agricultural science-agricultural production” and deepening cooperation between the central and local executive authorities in addressing issues of functioning and development of agricultural education and science. Today there is the problem of training of highly-qualified workers and specialists with higher education and the implementation of domestic scientific development in agriculture. The functioning of the agrarian education and science does not fully conform to the social and economic needs of society, the level of development of production and food security. One way to solve this problem, in terms of a one higher education institution, is the creation of “Educational-scientific-production pig complex of Mykolayiv national agrarian University” located on the territory of the Komsomolska village council of Mykolayiv region. 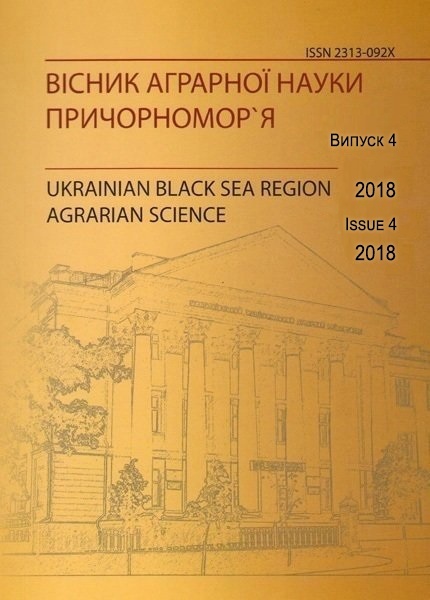 The purpose of the article – present the structure of pig complex and reasonable usefulness of its organization and construction for implementing the concept of “agricultural education-agricultural science-agricultural production”. The aim of the project is the creation of the center of pig production based on the latest national and international developments in the technology of reference of the pig industry, able to ensure the implementation of the three components: training (to consolidate the theoretical knowledge of students, the acquisition of practical skills of performing the various processes and operations, training of technology experts of production of livestock products, providing advisory services); scientific (base for research in the fields of breeding and selection of animals, the technology of production of animal production, genetics, testing the latest technologies and development of recommendations for the production); production (providing the population of the Mykolayiv region and other regions with high quality and environmentally friendly pork of own production; production of high-quality breeding resources for farms of the region and country). The presented project will be implemented through the use of modern specialized breeds and types of pigs meat productivity in the background of balanced feeding rations of own production. Full mechanization and automation of production processes will allow to minimize the impact of human factors on the result of production and to optimize the structure of production costs. The creation of meat balance in the country is primarily dependent on the increase in the production of all kinds of meat, including pork, which in beef balance should occupy more than 35%. Therefore, to increase pork production, improving quality and output of the pig industry on a global level, the maximum potential use pigs for human needs, it is necessary to efficiently use tribal resources of pigs in Ukraine and in the world, enhance forage and implement cutting-edge technologies and scientific achievements. Currently breeding in the pig industry of Ukraine is characterized by the trend of imports of farm animals beef cattle productivity of foreign origin. Proven a number of studies that our local genotypes in creating optimal conditions of feeding and maintenance, performance is not inferior to foreign ones, and in terms of sustainability, adaptation to the conditions of feeding and maintenance, typical of most farms, as well as the quality of the products is significantly higher. This necessitates a more thorough study of the productive qualities of domestic pigs genotypes and development of their breeding programs. In Ukraine the third largest population is Ukrainian meat breed, but the number of sows and boars of this breed for the period from 1993 to 2013 decreased by 45.8 and 62.3%, respectively. Therefore, significant has been the preservation, dissemination and improvement of the aforementioned pig genotype. Given the relevance of the use of swine meat genotypes to increase pork production was supplied for the purpose, in the article, to provide an analysis of breeding work with pigs breeds Ukrainian meat (Askania type) and large white foreign selection. 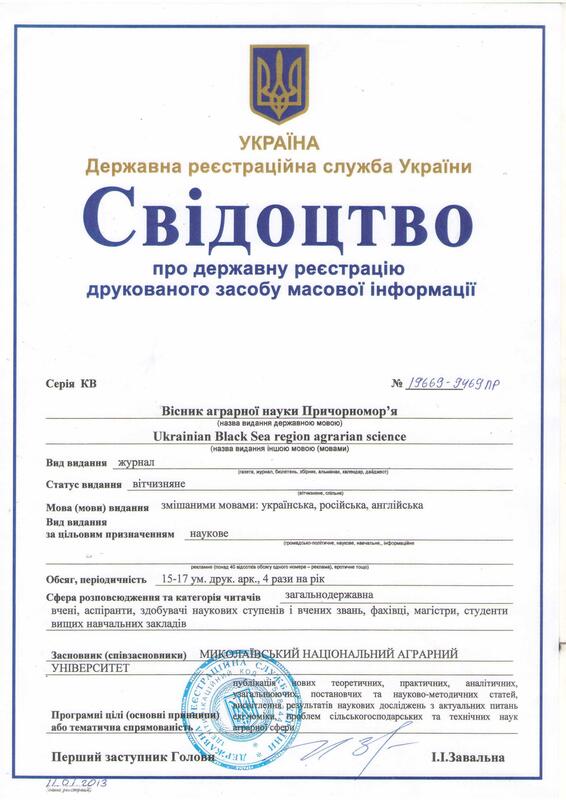 The study was conducted in the conditions of breeding plant breeding pigs Askania type of Ukrainian meat breed and pedigree reproducer breeding pigs of large white breed a Limited liability company (LLC) “Tavriyski svyni” Skadovsk district, Kherson region. Determined that today the industry in the economy presents a plant with breeding pigs Askania type of Ukrainian meat breed – a 125 main sows and breeding facility for the breeding of pigs of large white breed – 93 major sows. The introduction of modern technology has given the opportunity to get quite good results productivity of animals. It is established that in the breeding factory LLC “Tavriyski svyni” are bred and grown such breeds of pigs which are unsurpassed reproducible, fattening and meat qualities in terms of the South of Ukraine. Found that the industry in agriculture has become profitable and competitive among the farms of the region and the country. Every year, it is grown and available for the implementation of 600 head of young pigs Ukrainian meat breed and 400 head of young pigs of large white breed, which is 90% meets the requirements of class elite. The farm has the possibility of implementing two-breed pigs such combinations: Ukrainian meat × Landrace and large white × Landrace. technology, pigs, breed, productive, quality appraisal. Pig Production, as a branch of animal husbandry, even in a crisis can be profitable , if the farms are conditions for maximizing genetic potential of animals. Target of breeds standards are high enough, but in most farms the potential of the genotypes of the animals is only 30…50%. Under such conditions it is difficult to compete with the world level and even to survive in this volatile economy. But in farms where well aware of the benefits of intensive technologies, introduction of achievements of science and technology, comprehensively take into account all the factors that affect the efficiency of production, pig farming is a profitable business. Given the importance of the development of the pig industry and the use of modern innovative approaches to restore industry and increased pork production the goal was to provide an analysis of the technology of production of pork products in the conditions of the Agricultural production cooperative «Agricultural firm «MiG-Service-agro». The studies were conducted in the conditions of breeding plant breeding pig breeds: large white, Landrace, Duroc (interbreed type of Ukrainian selection “Steppe”) and enterprises with breeding in pig breeding category of the APC «Agricultural firm «Mig-Service-agro» village Sukhoy Yelanets, Novoodesky district of Mykolayiv region. The study was conducted conventional breeding methods. After studying the local and global gene pool of pigs, a leading national and world driving technology in pig, farm managers and specialists and scientists of Mykolayiv State Agrarian University introduced modern technology of production of pork. Growing pigs on the farm at two production sites. On the first site contains basic sows and boars during the entire reproductive period, as well as piglets from birth to reach a live weight of 30 kg. On the second floor is the cultivation of breeding and fattening of young. It is established that the organization of care and feeding pigs in the farm fully complies with the requirements of modern industrial technology for production of pork. The introduction of modern technology and feeding pigs of all age and gender groups in the context of the APC «Agricultural firm «Mig-Service-agro», gave the opportunity to obtain a sufficiently high animal productivity results. Pig industry in the economy has become profitable and competitive among the farms of the region and country. The high genetic potential of breeding of young animals of a breeding farm “Mig-Service-Agro” will increase productivity of breeding pigs and commodity farms of different size and ownership. Every year, it is grown and available for the implementation of 550 head of young pigs of the above breeds, which is 90% meets the requirements of class “elite”. The farm has the possibility of implementing two-breed pigs large white × Landrace (F1). The possibility of using entropy and information analysis (EIA) in various fields of biological science has been noted by many authors. However, most of these works showed examples of the application of EIA in the study of discrete (qualitative) characteristics. Modification of EIA for quantitative traits using the integrated density estimates of the distribution of standardized values, gave the opportunity to expand the application of this method for the evaluation of various quantitative indicators of efficiency of agricultural animals. For carrying out entropy and information analysis using a modification for quantitative traits were used data on age-related dynamics of the reproductive qualities of two-breed sows: large white (LW) and Ukrainian meat (UM) in combination with boars of Landrace (L). The reproductive traits of sows was measured in terms of total number of born piglets (TNB), number of born alive piglets (NBA) and number of weaned piglets (NW). The animals belonged to the LLC “Tavriysky pigs”, Kherson region. Were used for research data on productivity according to the results of the first seven farrowing eighty sows each of the genotypes. It is proved that the degree of determinacy reproductive characteristics, including age-related dynamics, influenced by the breed sows. It is established that the highest level of order is characterized by the number of piglets at weaning (NW). Therefore, this indicator should be used as a reference when assessing the reproductive characteristics of sows. Keywords: entropy and information analysis, reproductive traits, crossbred sows, age dynamics. 1. Byr S. Kybernetyka y upravlenye. — M. : YL, 1963. — 168 s.
2. Herasymov Y. H. Эntropyia byolohycheskykh system // Problemы starenyia y dolholetyia. — 1998. — T. 7. — № 2. — S. 119-126. 3. Kramarenko S. S. Osobennosty yspolzovanyia эntropyino-ynformatsyonnoho analyza dlia kolychestvennыkh pryznakov byolohycheskykh obъektov // Yzvestyia Samarskoho nauchnoho tsentra Rossyiskoi akademyy nauk. — 2005. — T. 7. — № 1. — S. 242-247. 4. M’iasni henotypy svynei pivdennoho rehionu Ukrainy / [V. S. Topikha, R. O. Trybrat, S. I. Luhovyi ta in.]. — Mykolaiv : MDAU, 2008. — 350 s.
5. Ynformatsyonno-statystycheskyi analyz mendelyruiushchykh y polyhennыkh pryznakov v populiatsyiakh selskokhoziaistvennыkh ptyts: metodycheskye rekomendatsyy / [Iu. A. Riabokon, N. Y. Sakhatskyi, P. Y. Kutniuk y dr.]. — Kharkov, 1996. — 40 s.
6. Vykorystannia ta udoskonalennia henofondu svynei v umovakh TOV «Tavriiski svyni» // V. S. Topikha, V. Ia. Lykhach, S. I. Luhovyi, O. I. Zahaikan // Naukovyi visnyk «Askaniia-Nova». — 2012. — Vyp. 5. — Ch. II. — S. 283—289. 7. Risk factors for stillbirth and foetal mummification in four Brazilian swine herds / V. F. Borges, M. L. Bernardi, F. P. Bortolozzo [et al.] // Prev. Vet. Med. — 2005. — Vol. 70. — P. 165-176. 8. Direct, maternal and nurse sow genetic effects on farrowing-, preweaning- and total piglet survival / E. F. Knol, B. J. Ducro, M J. A. van Arendonk [et al.] // Livest. Prod. Sci. — 2002. — Vol. 73. — Р. 153-164.
entropy and information analysis, reproductive traits, crossbred sows, age dynamics. У статті представлено проект створення конкурентоспроможного підприємства з виробництва свинини та бази для проведення наукової та навчальної діяльності студентів та викладачів в умовах Навчально-науково-практичного центру Миколаївського НАУ. Обладнання приміщень для виробництва свинини планується шляхом перепрофілювання існуючих будівель з найраціональнішим використанням виробничих площ. З урахованням обсягу необхідних витрат на підготовчий та основний періоди та кількості запланованих грошових надходжень строк окупності даного проекту буде становити 5 років.